• Unplug all cords connecting your computer to the wall before the thunderstorm begins. • Both power cords and modem cords need to be removed. • Unplugging before the thunderstorm is ideal, but it may be the case that you are not near your computer when the storm is coming. • Fear not, there are other preventative measures. A. This is not to be confused with a power strip. • A surge protector will look like a bulky power strip. • When your home receives a power spike, the surge protector takes this spike and pushes it away from the outlets and your computer. 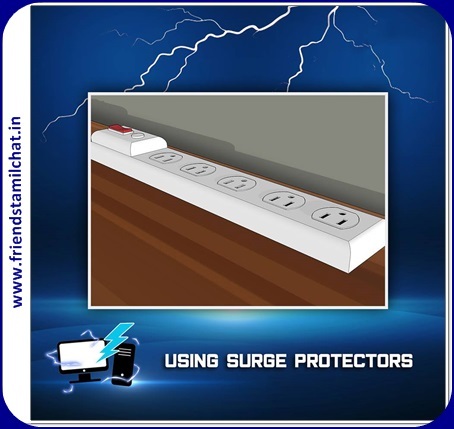 • Remember that even the best surge protectors will not protect against a direct lightning strike. 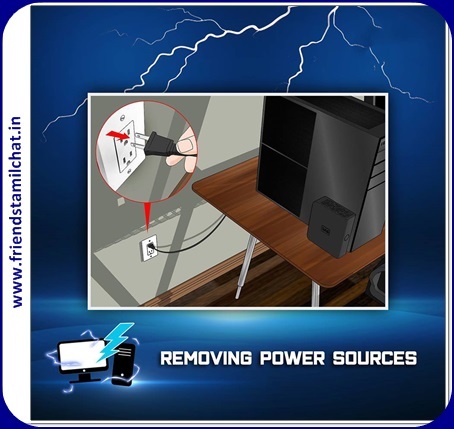 • For ultimate protection, if you happen to be home, unplug the surge protector in the case of a threatening storm. B. Make sure you're buying a good surge protector. • If you regularly connect your computer to the internet, ensure the surge protector has a internet cable surge protector. • Look for a surge protector that offers insurance to cover the loss of properly attached equipment. A. Determine if your electronic set up requires an uninterruptible power supply device, also know as a UPS device. 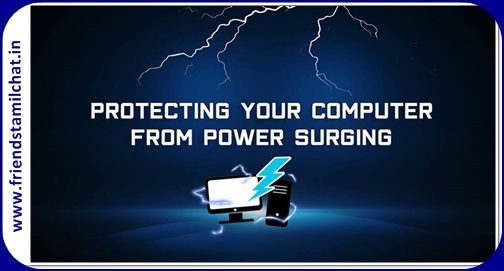 • Whereas surge protectors protect surges of power, these UPS devices protect against outages. • Outages and dips in power, even if minor, can cause hard or soft damage (like data loss) to certain equipment - for example, external hard drives or advanced telecommunication equipment. • A UPS will be particularly beneficial if you have a home office or continually run operations on your electronics. 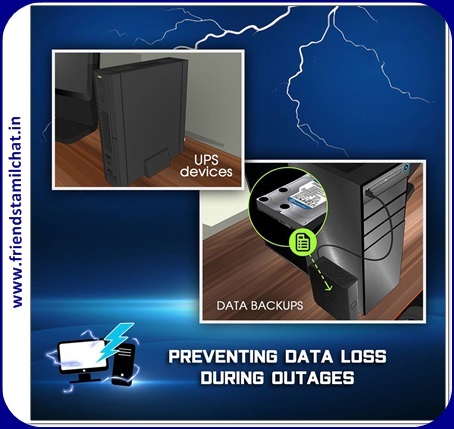 • Most UPS devices will also protect your devices from power surges. B. During thundery seasons, do long term data backups on a more opportunistic basis. • Do it well before days with a threat of lightning make it a risky thing to be doing.